Where to go and how to get there! This is a simplified map. 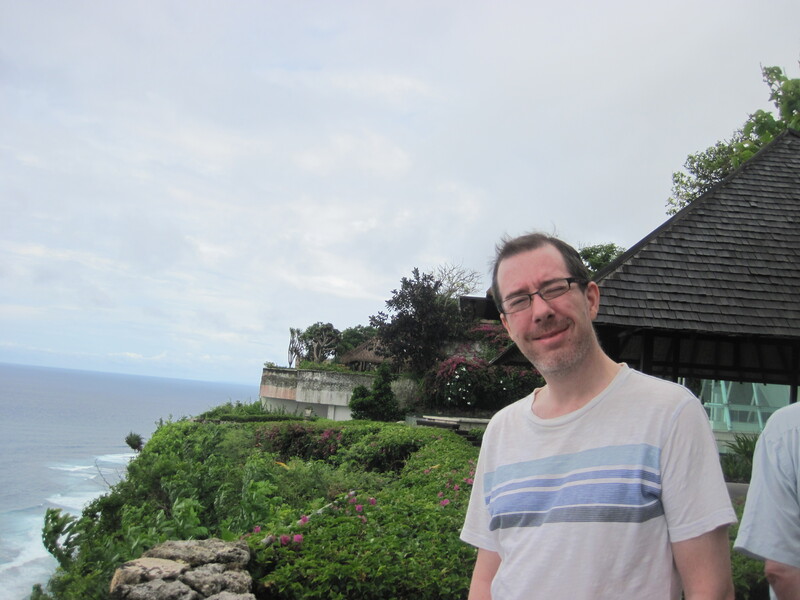 Trust me, hiring a car (and a driver) in Bali is going to be the best travel decision you ever make. It’s only about US$50 per 24 hours! It will save you a lot of taxi money, nerve about being lost, and more nerve dealing with manic driving style that’s going on left, right, and center. For car rental inquiries, please call Bli Wayan, 62/812-396-4771. For driving direction, please ask Google here. See ya! Suite surrender: where to stay! Coming to the wedding but need a place to rest your head amid the celebrations? Here are our hot picks to suit all budgets and expectations. And yes, I usually tend to write in magazine PR blurb… It’s my job. Few-frills 2-star boutique accommodation with free Wi-Fi—always a plus in our books—this little find may be the perfect place to nap before and after the nuptials. Located on sunset road, this is a great base camp when you’re not at the wedding. Budget: USD35++ (IDR300,000++) per night for a superior room for two. Let them know that you’re our guests and receive a special rate of IDR300,000 nett! The entire Holiday Inn brand (and, therefore, properties) recently underwent a much-needed renovation and overhaul. The 1970’s-style motel associations are gone, and in their place are modern amenities and a touch of efficient luxury. 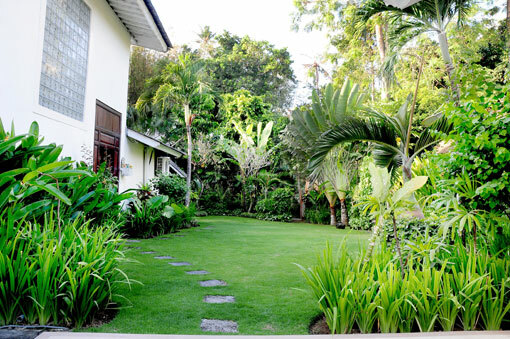 The Bali property is no exception: well appointed and ideal for the whole family, it boasts a beachfront location, too. Comes with our personal recommendation. Budget: US$170++ (IDR1.5m++) per night for a superior room for two. Another personal recommendation, the InterCon is an upmarket five-star stay in Uluwatu, about halfway between the chapel and the party venue. Somewhat exclusive, the price reflects the property’s charm and Bali beauty, but you get what you pay for in the service, the spa and the seclusion. At “press time” domestic travelers also get a special package, so book now! Fresh, fun and funky… Yep, all the “effs” seem to apply to this 2-star central-Seminyak stop. It also describes itself as “functional” which means it’s not one for the luxe crowd. But if you want a place just to rest your head and that doesn’t cost the earth (and you love Bali bar-hopping and other distraction pre- or post-wedding), this just might be the place for you. Perhaps the best-placed property among those listed here for the wedding (it shares the same zip code with the reception location), the Nipuri is nestled near a peaceful rice field. With attractive facilities, a certain style and grace and a very affordable price point, the Nipuri offers a minimalist rest away from the bustle of Kuta. 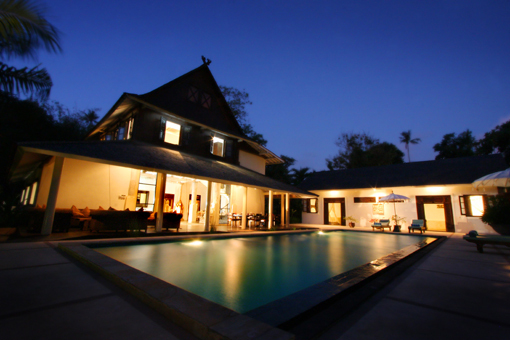 FAQ: Did you choose this villa because of your North Sumatran background? Answer: Matthew and I attend (and/or organize) events and gatherings all.the.time. So when we thought of our own wedding, we knew we wanted something intimate and enjoyable (as opposed to tedious and mandatory). (Un)fortunately, I have a huge family and we both have massive friends and colleagues who are happy for us. We also don’t want to cram people in a four-wall room. This villa has the answer. People can move around and greet each other on their way to (spoiler alert!) the babi guling corner. That’s why we also encourage people to wear something classy yet easy (see dress code). But yes, we chose this villa because of my large North Sumatran family and no, I didn’t know the name was ‘Villa Sumatra‘ till I got there. ... and garden party too! 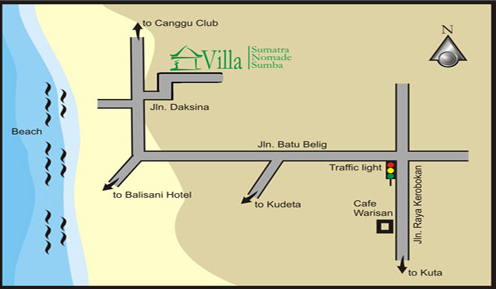 Simplified map to get to Villa Sumatra once you’re in Seminyak is here. If you want to ask direction to uncle Google, click here. IMPORTANT NOTICE: Parking spaces are available at 100 and 500 meters from the villa. But fret not, we provide unique local transfers from parking to entrance. Just pray that the weather is on our side, for we know what humidity does to our hair! As Christians, we wanted to be blessed in a church or chapel. After much googling with traffic, weather, and capacity consideration, this seemed to be the only option. Then I went there to check it out. A few weeks later I took Matthew there to get his nod. Then a few months later we took Matthew’s parents to see it. My parents didn’t need much convincing. We all loved the set up and the views. 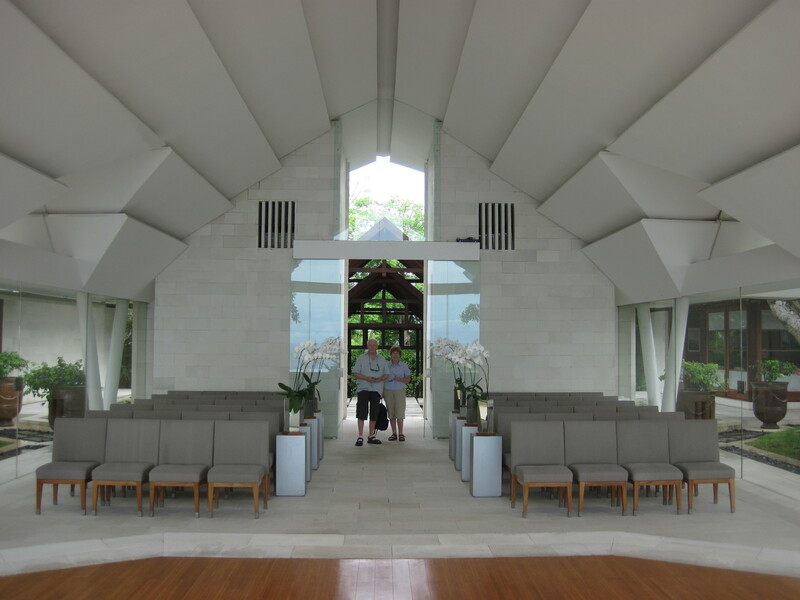 The chapel looks classic and simple, unlike its futuristic sister next door. It sits up to 100 people (slim intimate people?). But we will keep the ceremony short so it should be comfortable. Because of the views (garden, pool, and THE OCEAN) we thought we wouldn’t need any decoration. I love that idea since I would hate wasting resources only to end up looking over-the-top. "The view is rather nice," says the ocean boy. True to form, this beautiful chapel is costly. So, I scraped the bottom of our purse and voila, we booked the chapel. To see how to drive from the airport or your place to Tirtha Uluwatu, simply use google direction here!